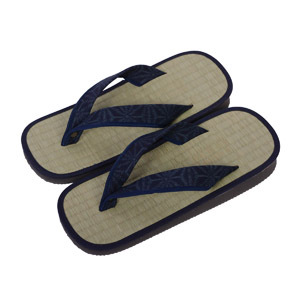 Tatami sandal with thong that fits between large toe and second toe. Please note zori do not have to fit the foot fully; they are often worn with the heel of the foot slightly protruding over the back of the sandal (1-2cm). Made in Japan.